One of the most speculated mysteries by Christians is the location of the Garden of Eden. The Book of Genesis is the primary source of information with regards to geography, but it contains very little on the garden’s location. Considering it was the birthplace of humanity and home to the Tree of Knowledge of Good and Evil, it is no wonder we want to know where it was. The Biblical scripture below gives some clues. “10Now a river flowed out of Eden to water the garden; and from there it divided and became four rivers. Members of the Church of Jesus Christ of Latter-day Saints believe the Garden of Eden to have been located in Jackson County Missouri. Founder of the Mormon church, Joseph Smith, discovered a stone slab that he claimed was an alter built by Adam after being expelled from the Garden. The garden itself was located 40 miles south, near present-day city, Independence. As for its location in the western hemisphere, some Latter-day Saints have presumed the continents were not yet separate before the Great Flood and that this approach would be consistent with the configuration of the super-continent Pangaea. The Sky People, by Brinsley LePoer Trench stated the biblical description of the river watering the garden and then parting into four heads is not consistent with rivers in nature. He wrote that only canals can be made to flow this way. 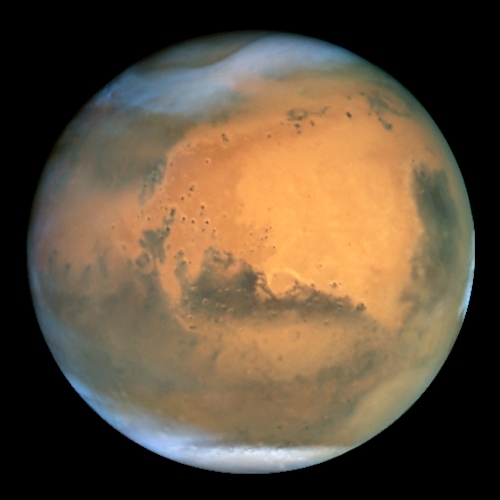 He then points to Mars as a location for the garden since canals have been theorized to have existed on the red planet. Brinsley goes on to say The Garden of Eden was on Mars and created by Space People. Along with Adam and Eve, Noah was also on Mars. Our descendants were eventually forced to come to Earth. In the nineteenth century, a theory was developed that a continent, Lumeria, occupied what is now the Indian Ocean The wide range of the animals inspired the name Lemuria, which was coined in 1864 by the zoologist Philip Sclater in an article “The Mammals of Madagascar” in The Quarterly Journal of Science. Puzzled by the presence of fossil lemurs in both Madagascar and India, but not in Africa nor the Middle East, Sclater proposed that Madagascar and India had once been part of a larger continent. Other scientists have suggested Lumeria was the cradle of the human race and therefore must have been the site of the garden. General Charles Gordon supported the theory that Africa and India were part of the same continent. During an expedition he found the Praslin Island in the Seychelles group. He became convinced this was the location of the Garden of Eden, particularly the Valle de Mai. His reasoning was based on the coco-de-mer, a rare tree, which is only found on one other island of the Seychelles. Gordon concluded this was the tree of the knowledge of good and evil. Another location that has been mentioned is Sundaland in the South China Sea. In this theory, the current Tigris and Euphrates rivers would not be the ones referred to in the scriptures, but rather later rivers named after two earlier ones, just as colonists often name features of their new land after similar features in their homeland. This idea also resolves the apparent problem in the theory that the rivers had a common source, which the current rivers lack. Some people believe that Garden of Eden was somewhere in Northeast Africa. Evidence given in support of this includes the fact that the oldest human remains have been found in Africa, and that the Gihon is usually thought to be a name for the Nile. Many believe that the Garden must have been in the Holy Land and the original river that flowed into the garden before it split into four separate rivers must have been the Jordan. The Gihon would be the Nile and the Havilah would be the Arabian Peninsulas. Eden is also tied with Jerusalem by the prophet Ezekiel. In Ezekiel 28:13-14, he recorded, “You were in Eden, the garden of God;” … “You were on the holy mount of God.” In most Jewish and Christian traditions, “the holy mount of God” is Mt. Moriah, the Temple Mount in Jerusalem (see Isaiah 2:2-2:3, Psalm 48:1-2 e.g.). Another possibility was proposed by archaeologist David Rohl, based on archaeological evidence, putting the Garden of Eden in northern Iran. According to him, the Garden was located in a vast plain referred to in ancient Sumerian texts as Edin east of the Sahand Mountain, near Tabriz. He cites several geological similarities with Biblical descriptions, and multiple linguistic parallels as evidence. The region today is bound by a large mountain range to the North, East and South, and marshlands to the west. The eastern mountain region has a pass leading in and out of the Edin region. This fits with the Biblical geography of Eden containing marshlands to the west, and the Land of Nod to the east, outside the Garden. Other scholars surmised the Garden of Eden was located in the eastern part of the region known as Eden, and that in Eden, the river divided into four branches: Hiddekel (also known as Tigris), Euphrates, Pishon and Gihon. While the identity of the first two rivers is commonly accepted, the latter two rivers have been the subject of much debate. If the Garden of Eden had been near the sources of the Tigris and the Euphrates, then it might be located in eastern Anatolia, specifically the Armenian Highland in eastern Turkey. Some biblical scholars believe the Garden of Eden was located in Sumer where the Euphrates and Tigris rivers merge. This is now located in present-day Iraq. They presume that the geographical references in Genesis refer to the time of ninth century BC and the Pishon and Gihon were tributaries of the Euphrates and Tigris that have since vanished. Disclaimer: This list is for fun only. I do not endorse any of the locations as the original location of the Garden of Eden. I am not a Biblical scholar and any mistakes were not done intentionally. This list is for entertainment purposes only. All information is presumed accurate. Did everyone forget Pangea? Put the continents together first. Then, use the scriptures and search. I was specifically searching for the Northern India theory, so why did this show up when it never mentions that? HAHA Eden as a physical location srsly this is the dumbest thing i’ve read this month. Here as the 52nd comment prophetic for when my mother had to rush me to Children Hospital on 52nd street when I was a 2nd grade catholic student . This is a interesting passage on the topic of where is the garden of Eden prophetic for who is Jesus Christ. A question I had when I was a little child just starting out with life. Terrill TC! There was an interesting tv show on the local of the Garden. The assumption is that the flood of Noah buried it under the Persian Gulf. Thanks for posting.